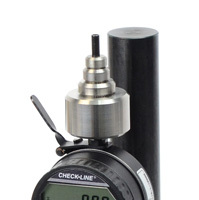 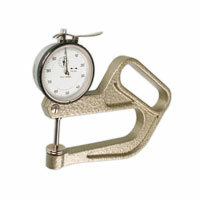 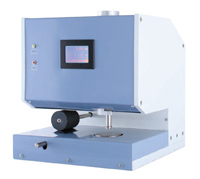 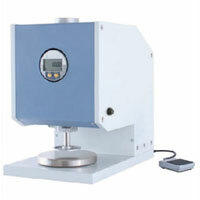 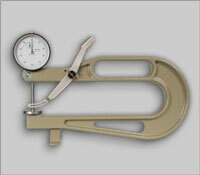 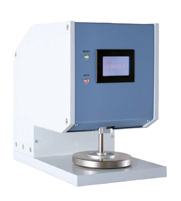 Dial and Digital Thickness Gauges gauges design to measure thickness of non-wovens, textile, plastic, films and more. 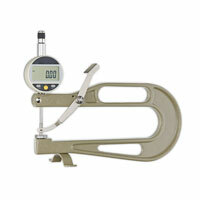 Bench top and hand-held models available. 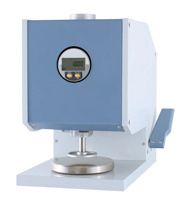 Measures material thickness of non-woven fabrics, textiles, felts, geomaterials, paper, floor coverings, leather, foils, etc. 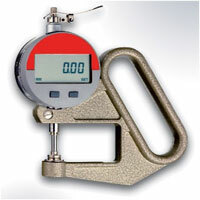 Measures textile thickness according to to ISO 5084 specifications.